Victor Hugo was a great author, poet, artist and political ideologist of the 19th century. Both through his works, which inspired and stimulated on multiple levels, and through his political actions, he helped France establish a democratic government, rather than a monarchy. However, this was not without a personal cost as he had to suffer a lengthy exile while he opposed the oppressive monarchy of Napoleon III. Victor Hugo left the world a significant amount of literary work that we can still appreciate to this day. His writings have many characteristics relevant to modern society and they involve humanism, human rights, justice and people's fair, democratic governance. 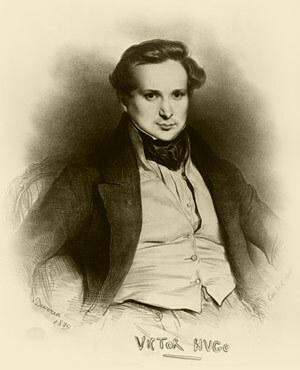 Victor Hugo was born in Besançon, France in 1802. His father, Joseph Léopold Sigisbert Hugo, was an atheist and anti-monarchist French General, who served under Napoleon's leadership and he often had to take posts abroad. As a result, the family spent time in Corsica, Italy and Spain. Contrary to his father, Hugo's mother, Sophie Trébuchet, was a Catholic in favor of monarchy. Due to their many differences, and tiring trips through war-ravaged countries, the couple finally separated, and as a result, young Victor was brought up by his mother. 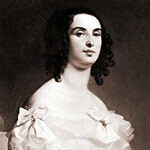 She took charge of her children's education wishing to see them as men of letters and influenced Hugo's early thought with pro-Monarchism ideas. As a consequence, Victor took classical studies in Paris although he was equally good at mathematics. 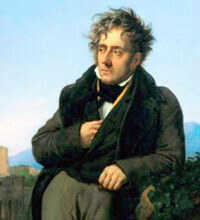 He was profoundly influenced by François-René de Chateaubriand, the prominent literary figure of the early 19th century, and as a teenager he wrote poems which won him several prizes hinting that he was to become a great author of the Romantic school. Hugo, himself, declared that he was determined to be "Chateaubriand or nothing," (at the age of 15) and his life journey showed that it followed paths parallel to Chateaubriand's in many ways. In 1822, Hugo started his professional life as an author, publishing a volume of romantic poems "Ode et poésies diverses," as his first work. In these poems Hugo expresses his deep love for his school-friend and sweetheart Adèle Foucher. In the preface of his book, Hugo commented that "Poetry is the most intimate of all things." The collection was highly praised and earned him royal recognition and a life pension from the King, which enabled him to marry Adèle with whom he later had five children. By 1825, Hugo's importance in the French society was so high that he was invited to the coronation of Charles X in Reims, an invitation which he accepted despite the fact that he had already started to shift towards republicanism. That shift is apparent in the prefaces to the five Odes editions between 1826 and 1828. It was also this political change that brought him again closer to his father who was a fervent Bonaparte's proponent. Victor Hugo was a prolific writer. Until his death he wrote over 100 pieces of work, including poetry collections, plays and novels. His first very successful and famous novel was "The Hunchback of Notre Dame" (Notre-Dame de Paris) published in 1831. The novel is set in the 15th century and most of the acts in the story take place in Notre Dame Cathedral. It is a tragic story that focuses on the idea of religious fanaticism, fate and destiny, justice, distinction of social classes, revolution and social upheaval. Another world-famous novel was "The Miserable Ones" (Les Miserables) which was published almost 30 years later, in 1862, and portrays the life of the lower and less fortunate members of society. Apart from his work as a renowned author, Hugo showed a keen interest in politics and he became active in the political stage of his country in the 1840's. He initially became a royal peer and elevated his influence during the time of the monarchy, but then, after the 1848 revolution, by was elected in both constitutional and legislative bodies. After 1848, Hugo became increasingly supportive of a republic type of governance instead of monarchy, due to the appealing behavior of Napoleon III. In 1850, Napoleon III proclaimed himself as King after having usurped the people's votes who had elected him as a President for the Second Republic in 1848. He was elected primarily due to his surname - Bonaparte - rather than any other great quality. Victor Hugo fought against his treacherous coup d'état valiantly, defending the people's right to govern themselves. He called for people to rise up and fight against the King - a riot with over 26.000 people arrested and over 200 dead during the clashes. By openly opposing the new King's authority, Hugo put himself in great danger. He escaped to Brussels thereafter and then moved to the islands of Jersey and Guernsey. Practically, Hugo spent approximately 18 years in exile. Napoleon III offered him amnesty, on condition that Hugo would denounce his rebellious words and deeds. However, Hugo chose not to, and remained in exile - true to his beliefs. Some of his anti-establishment works were banned during that period in France, even though they still circulated in the underground. 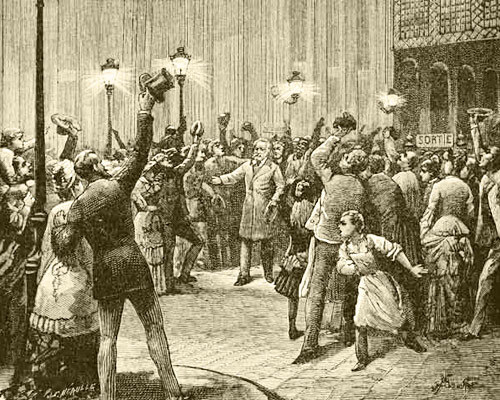 In 1870, when Napoleon III was dethroned and the Third Republic of the people was established, Hugo participated in French politics as a senator and national assembly member. However, due to his disagreement with the impending peace treaty with Germany, he resigned one year later and then went first to Brussels, from where he was ousted, and then to London. He failed to enter the national assembly in 1872, but was re-elected as a senator in 1876. Victor Hugo died in 1885. Four of his five children and his wife, Adèle, died before he did, and he had to endure much emotional pain due to their loss throughout these sad phases of his life. Hugo's literary work can be characterized as many things, but it can only be summed up in one word: "influential." It is impossible for a reader to read his great works, whether they are poems or novels, and be left emotionally or intellectually unaffected. In a period of social unrest and power games between the Elite rulers and ordinary people, Hugo masterfully orchestrated strings of words into emotional sequences that stirred people's inner spirit for justice, social fairness, equality, humanism and other noble values, despite the less than optimal, or even survivalistic outward social circumstances. By being a popular author, and his works being widely read, this influence took the form of massiveness in the French society and beyond. In modern-day standards, it would be impossible to measure the extent of Hugo's multi-layered influence. It is not easy to understand how, on an individual level, an ordinary man's mind and heart were so finely shifted to become more humanistic, believe in higher ideals or be the activating force for people's rebellion against oppression. However, on a larger scale, we can observe the ripples of his work both on society and arts. On arts, through the influence that Hugo had on the next generations of romantic authors, novel writers and playwrights, just like the influence Chateaubriand had on him. On society, this influence can be seen both through the political situations that evolved in France, in favor of a Republic government, as well as people's appreciation towards Victor Hugo. Abroad, this influence can be seen on countries which abolished the death penalty or adopted other humanistic values in their law systems. Hugo's work also affected the anti-establishment and anti-oppression political, economical and philosophical systems of the time with the integration and use of humanistic values. On a more anecdotal form, smaller ripples of this influence can be observed on things like Notre Dame's restoration which started in 1845. Until that time the Cathedral was neglected and rather dilapidated, but later it became a major tourist attraction due to the influence that Hugo's novel had. 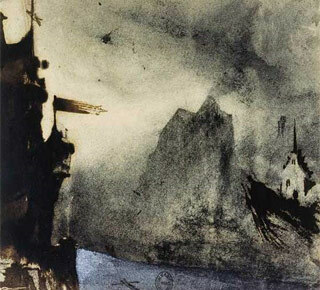 Victor Hugo was not only a great storyteller or poet, but actively used his artistic talent to stimulate the masses to more positive directions. He left behind a politically reformed France and the hope of a world change. This extends to this day since his works can, even now, stir people to ponder on the timeless ideals that spring from romanticism and humanism. At a time when television sets our ideals and tunes our emotions, Victor Hugo's writings seem like an oasis of positive influence.